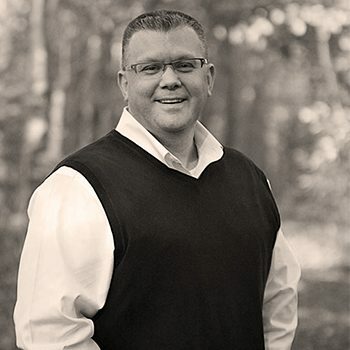 Steve Bray attended both Pillsbury Baptist Bible College and Kingston Baptist Bible College for his undergraduate studies and Calvary Baptist Seminary for his (MDiv). Steve has been in pastoral ministry for over 20 years serving in both Fellowship and Canadian Baptist churches in Kingston Nova Scotia, Charlottetown Prince Edward Island, and currently St. John’s Newfoundland, Canada. He presently serves as the Lead Pastor of Calvary Baptist Church in St. John’s, a small but growing Church with a passion for biblical preaching, missions and church planting in one of the most unchurched provinces in Canada. Steve started TGC Atlantic Canada which hosts an annual conference each year in Charlottetown PEI http://www.tgcatlanticcanada.com/ and is a founding member of the TGC Canada Council. Steve is embarking on a Church planting endeavor called Mile One Mission dedicated to planting Churches and seeing indigenous Newfoundlanders raised up to reach Canada’s most easterly province. Steve is the blessed husband of Debbie, his childhood sweetheart and proud father of 3 beautiful children, Brandon, Jordan and Abigail.